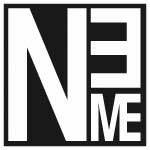 On 13 January 2018 at 6:30pm, NeMe and the Respublika! curator, Nico Carpentier, invite you to the seminar Participation, Active Citizenship and Community Media which will be held at the NeMe Arts Centre, Corner of Ellados and Enoseos streets, Limassol. This seminar aims to discuss the needs, opportunities and challenges for increased levels of participation in all societal fields, and its implications and requirements for active citizenship and civil society. One particular field, the field of communication, will be gently highlighted during the seminar, without decontextualizing communication and disconnecting it from the many other social fields and their specificities. Bart Cammaerts is associate professor at the Department of Media and Communications of the London School of Economics and Political Science (LSE). His research focuses on the relationship between media, communication and resistance with particular emphasis on communication strategies of activists, media representations of protest, alternative counter-cultures and broader issues relating to (media) participation, power and public-ness. He publishes widely and his most recent books include: The Circulation of Anti-Austerity Protest (Palgrave MacMillan, 2017), Youth Participation in Democratic Life: Stories of Hope and Disillusion (co-authored with Michael Bruter, Shakuntala Banaji, Sarah Harrison and Nick Anstead, Palgrave MacMillan, 2015) and Mediation and Protest Movements (co-edited with Alice Matoni and Patrick McCurdy, Intellect, 2013). He is also the former chair of the Communication and Democracy Section of the European Communication and Research Association – ECREA and former vice-chair of the Communication, Technology & Policy-section of the International Association for Media and Communication Research – IAMCR. Vaia Doudaki is Associate Professor (Docent) at the Department of Informatics and Media, in Uppsala University. Her research focuses on the study of media, conflict and crisis, on theory and practice of newsmaking and journalism, on community and participatory media. Broadly speaking, she is interested in the study of representations, identities and discourse, within and through media. Hazal Yolga is a researcher for the Cypriot Community Media Research Programme of the Vrije Universiteit Brussel (VUB) and a Project Coordinator at the Cyprus Community Media Centre (CCMC). As part of her role at CCMC, she manages funded projects focusing on media and human rights, the latest being “Unspoken: Creating Dialogue on LGBTI Rights in the Turkish Cypriot Community”. Hazal Yolga has collaborated on several video art installations and holds a Masters degree in Communication, Culture, and Technology from Georgetown University. Nico Carpentier is Professor in Media and Communication Studies at the Department of Informatics and Media of Uppsala University. In addition, he holds two part-time positions, those of Associate Professor at the Communication Studies Department of the Vrije Universiteit Brussel (VUB – Free University of Brussels) and Docent at Charles University in Prague. Moreover, he is a Research Fellow at the Cyprus University of Technology and Loughborough University. His latest book is The Discursive-Material Knot: Cyprus in Conflict and Community Media Participation (2017, Peter Lang, New York). He is also Respublika! curator.